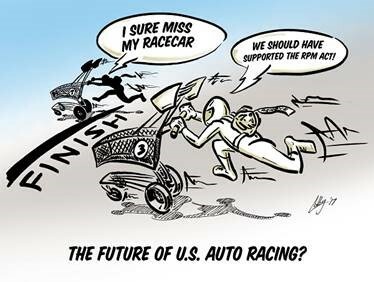 With a history of commitment to our hobby’s important legislative issues, the SEMA Action Network (SAN) membership is invited to be among the first to try out a new tool specifically for car and truck enthusiasts. 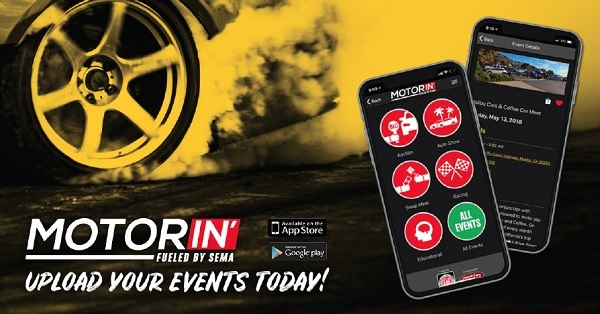 The MOTORin’ automotive event finder has just been launched as a SEMA-supported online app and website to fit those on the move. Created through a partnership between SEMA and ClassicCars.com, this resource is designed to make it easy to find events by date, location or categories, and to help event organizers reach more users—completely free of charge. The app, which is available for download now at no cost, includes hundreds of events. New events are being added daily. It is intended to be a cost-effective, modern tool to reach the enthusiast community and promote events ranging from car shows, auto auctions, drifting or race competitions. Automotive event organizers throughout the country are welcome to submit their events without fee or obligation. Promoters can create an account by downloading the app. Once registered, promoters will be able to submit their events, along with details, a photo and a link to purchase tickets, if desired. Visitors will automatically obtain a list of upcoming events local to them when they access MOTORin’, but can also search for events by date, location, distance, keyword or event category. For more information or to begin posting events to MOTORin’, download the app from the Apple App Store, the Google Play Store or visit www.motorin.com. 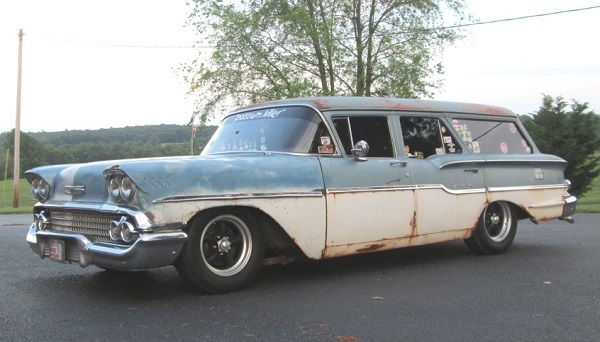 Bernie “Murf” Murphy can’t spend enough time behind the wheel of his prized ‘58 Chevy Yeoman. Best of luck with the rebuild of your beloved wagon, Murf. Hope to see it back on the road very soon!